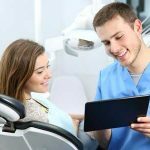 Teeth Straightening Options for Adults: What Are My Options in 2018? 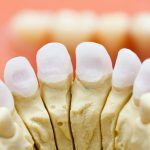 Home / Articles / Teeth Straightening Options for Adults: What Are My Options in 2018? The first thing that comes to mind when someone mentions teeth straightening is a teenager with braces. Fortunately, there has been a lot of advancement in the orthodontics field over the past 20 years. 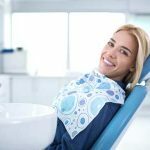 These advancements allow people of any age to discretely correct all kinds of dental issues including crooked teeth without clunky wires and big metal brackets. These advancements are so discrete that most orthodontic practices will straighten the teeth of an equal number of children and adults each year. This article will cover the different options that adults have for straightening their teeth in 2018. This is probably the most popular option for adults looking to straighten their teeth. Basically, Invisalign is a group of clear orthodontic aligners. 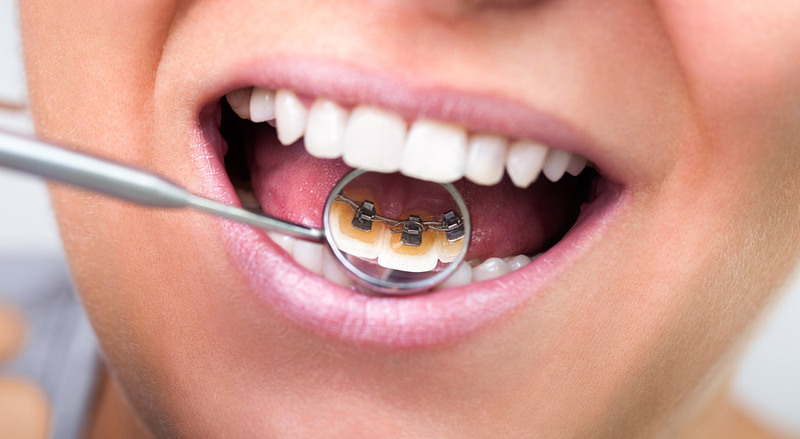 They are custom molded to your mouth and work by pushing each tooth into proper alignment. The aligners are removable, but you must replace them every two weeks. Adults like them because they are clear, which makes them difficult for people to see. In fact, most people probably will not notice them unless they are very close to your mouth and actively looking at your teeth. The option to remove these at any time is another feature that people like.You can easily remove them before eating or drinking coffee. Now, the one downside with Invisalign is that it takes longer for the teeth to straighten compared to standard braces. However, most adults would rather have no visibility instead of metal braces. Read about more At Home Orthodontics options here. 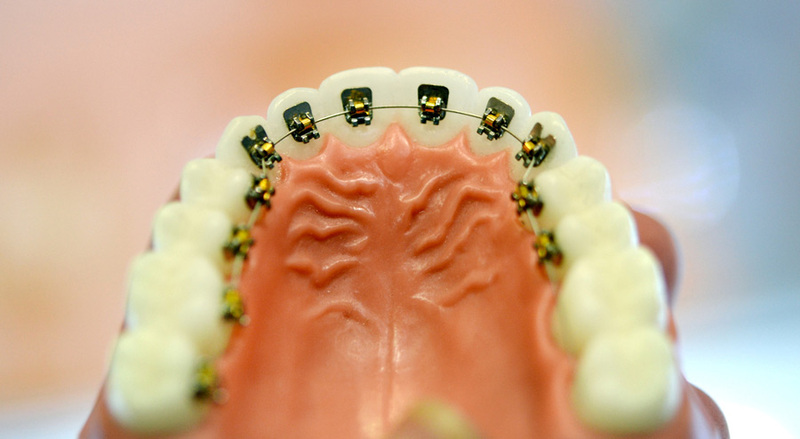 Lingual braces are your standard metal braces with one big difference. These braces are applied out of sight on the backside of the teeth. The big benefit with this is that absolutely no one can see the braces no matter how close they get to your face. This invisibility comes at a cost though. Lingual braces have a reputation for making it difficult to talk and being difficult to clean. On top of that, you can expect to pay more for lingual braces than other types of teeth straightening options. The difficulty talking arises from the metal wires and brackets getting caught on the tongue as it moves, which will cause a slight lisp at first. It can also hurt and is just uncomfortable for the first few months. Fortunately, talking normally with these braces is still possible with enough time and practice. 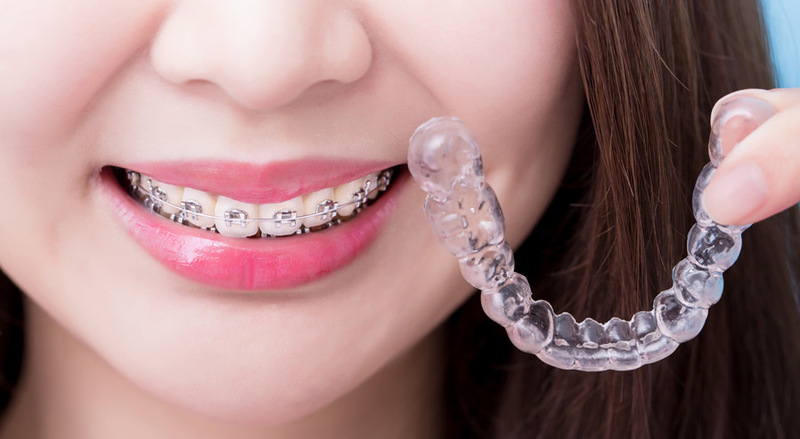 The annoyances that these braces cause in regards to your teeth and talking can be a bit too much for most people. Not to mention wires constantly poking into your tongue and a slightly higher price point. However, they are the best, and only, option for those that want to hide the fact that they have braces. Another option is normal braces, but with clear colored or tooth-colored brackets. These look more like some weird retainer than braces to an untrained eye. Many people will not even notice them because they blend in decently well. The metal wires are still silver colored. Again, many people will assume that it is just part of some retainer since they will not likely see the brackets. Many people do not even notice the wire because it is somewhat thin. The color of the brackets can cause some problems when eating certain foods or drinking certain liquids though. If you drink wine or coffee, then you could stain the bracket. This is not as big of a concern as you might think though because the brackets are replaced on a somewhat frequent basis. The alternative is just to avoid consuming anything that could stain your braces, which is what most adults do that wear clear ceramic braces. The orthopedic expansion, also known as palatal expansion, is one of the more effective options for straightening teeth. This method involves surgically expanding the jawbone, which will reduce the crowding of the teeth. No crowding means that the teeth can expand and might straighten on their own, which means that there would be no need for other options. If you still need other options to straighten your teeth, then this is a good option. The wider jaw will make the other options would work much faster. Orthopedic expansion has other cosmetic benefits other than teeth straightening as well. It will make the smile wider and create more noticeable cheekbone, which are both desirable traits. The expansion might also make the lips have a bit more volume, but this just depends on how your lips prior to the surgery. Finally, the best part about the expansion is that it is permanent. This is not plastic surgery, which requires constant surgeries as the implants change. Orthopedic expansion is a physical adjustment to the skeleton, so it will not change over time. All in all, orthopedic expansion is the best option for straightening your teeth. As mentioned earlier, it will often straighten the teeth with the need for other methods. 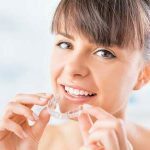 However, if other methods are required, then it will increase the time it takes to straighten teeth with those methods. Overall, straightening teeth as an adult is still a possibility. Adults do not have to be stuck with crooked teeth forever. Nor must they wear normal metal braces to straighten their teeth. The options listed above are all great for adults. Now, the best choice for you will depend on your budget, lifestyle, and comfort level with surgery. For instance, lingual braces are not a good option for those that are heavy wine or coffee drinkers as the teeth will stain. Those with a fear of surgery will probably not want to get orthopedic expansion done. The best general option for adults is most likely Invisalign. However, you should consult your orthodontist and discuss the options available before making a decision. Not everyone is eligible for the different options available. This mostly depends on the amount of straightening that your teeth will require, but your orthodontist will have all the answers. How Does a Tooth Splint Work?